I put on my pigtails and went for a drive. Naturally, I wrote a poem about it- and turned that into a music video. Below are the Pigtail Man poem and the Pigtail Man music video. I'm driving and I'm wearing pigtails. I'm driving and I have pigtails. 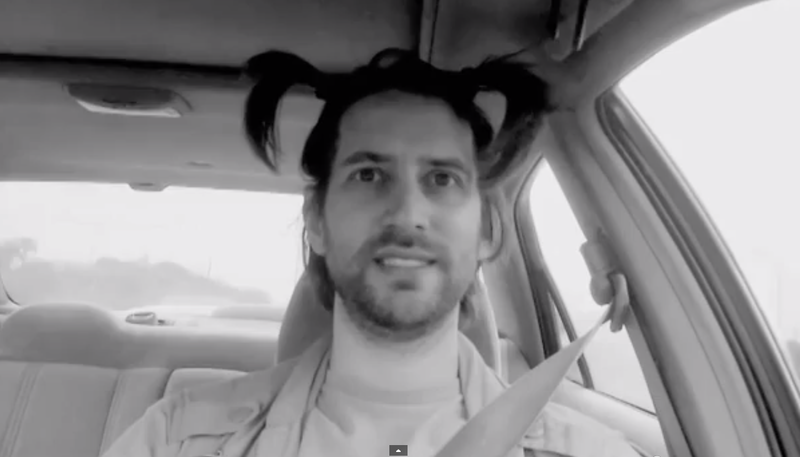 I could be anyone- but today, I'm pigtail man. And right now, I'm driving. The weird thing is my wife had to suggest that next time we do #PigPics Live, I should wear pigtails and go as Pigtail Man. That is smart. I did not even put that together. I guess I just have a lot of pig-related stuff going on.